Adam Luck graduated from Clemson University and became a business advisor for the Peace Corps where he worked for more than two years in the rural village of Gwollu, Ghana. There, he helped maintain, manage, and promote eco-tourism destinations, and raised funds to build a computer facility for local schools. Upon returning from Ghana, he entered the CIMBA Part-Time MBA program, earning his degree in 2013. 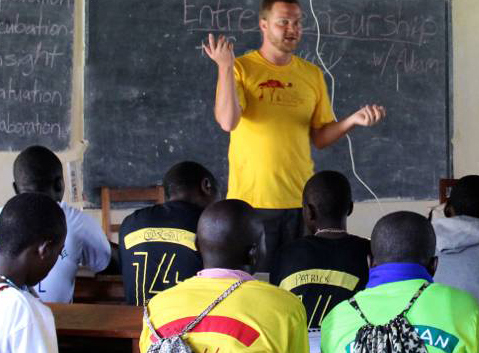 With his newfound skills, he initiated a strategic partnership between In Movement (a Ugandan NGO) and Peace Corps Uganda. Luck has spent a year in Uganda creating a collaborative model for annual art education and leadership camps for underserved youth, assisting with an organizational strategic plan, and building a marketing framework to promote services and provide financial sustainability.